Twenty years ago today, eight climbers died on the slopes of Mount Everest. At that time, it was the worst single loss of life on the world’s highest peak. The weather had been favorable for climbing the day before, and several people had already reached the summit and were on their way back to base camp when a fierce blizzard arose within a matter of minutes. Temperatures rapidly plunged to 40 degrees below zero with winds of up to 70 miles per hour. 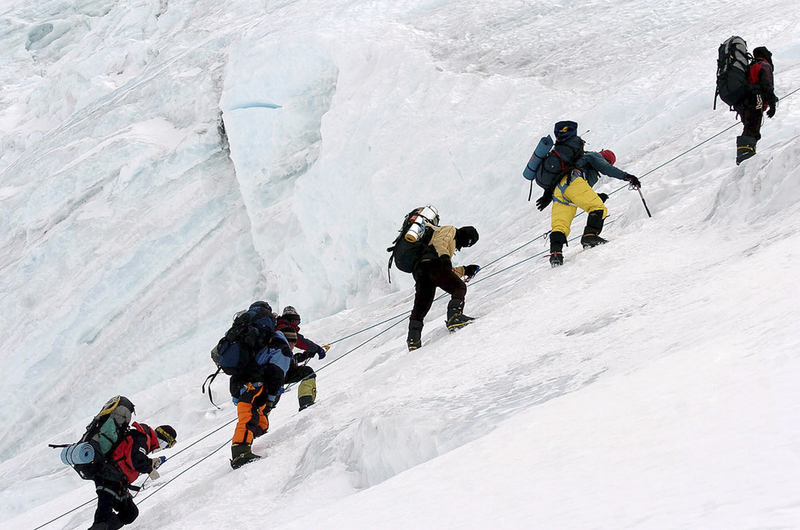 Massive snowfall buried the fixed ropes that aided climbers in their ascent and descent. Many of them simply got lost in whiteout conditions. The victims were all seasoned climbers and guides. Also on Everest that day were several “amateurs” who paid $60,000 apiece for an opportunity to challenge the peak. 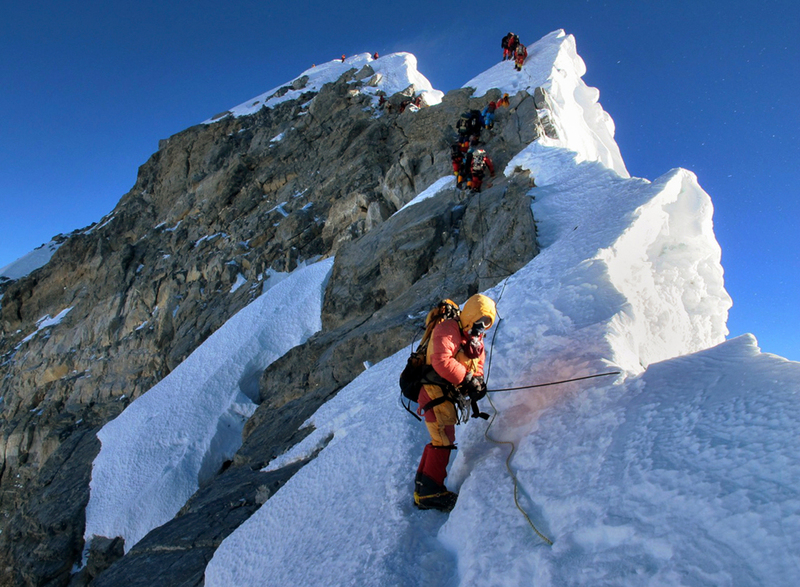 Since 1953, when Sir Edmund Hillary became the first to reach the summit of Everest, technological advances have enabled less experienced climbers to also reach the peak. But technology has also fooled amateurs into a false sense of security. When faced with unpredictable situations such as this blizzard, these climbers are extremely vulnerable – especially if they become separated from the experienced guides they’ve hired to lead them. For some reason I have for decades been intrigued with Everest. I think it started the winter of 1956 when I had the chicken pox. Quarantined from grade school, I had little to do but daily homework assignments dropped off by my classmates and listen for hours to the local rock and roll station on my tiny plastic transistor radio. I also had a small pile of books from the neighborhood library. One of those books was High Adventure, Hillary’s own narrative of his historic achievement. In vivid, magical detail he described the far away mystery of the Himalayas, the exciting dangers of traversing over glacial ice flows and around deep crevasses, and finally, clawing his way up an ancient shaft of granite to the unimaginable 29,029 foot summit. It was inspiring. Since then I have seen many documentaries on the History Channel about both men and women and their teams who made a decision to face that mountainous giant, to put it under their feet. Tragically, some fail. Others return just short of their goal, losing fingers, toes and noses to frostbite in the process. I also read other accounts, including Into Thin Air, the best selling book by amateur climber and writer for Outdoor magazine Jon Krakauer, one of 20 climbers to reach the summit before the fatal blizzard of ‘96 hit and later wrote about his experience. 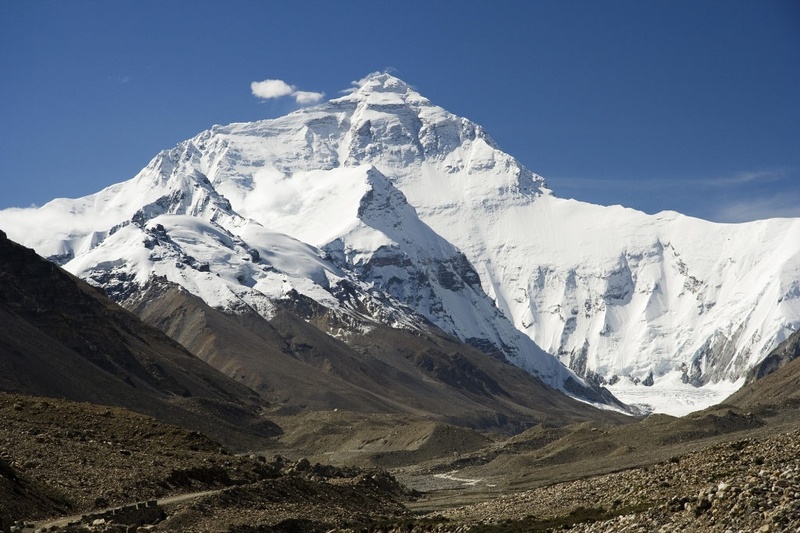 I am wondering if the lure of Everest and the challenges it represents might be some sort of metaphor for my own attempts to achieve something in life. Something big, historic. Something to write about. No, I understand that I will never be a mountaineer. I have a hard enough time hiking and catching my breath at 10,000 feet in the Rockies. And I might be just an “amateur climber” through the rest of my life, someone who always depends on experienced guides to help me along the way. But what exactly are my goals and how much am I willing to risk to get there? Will it be a mere transient achievement, or will it have eternal value? Proverbs 16:9 says, “In his heart a man plans his course, but the LORD determines his steps.” In other words, often we develop our own ideas and boast about our plans, but God will ultimately accomplish His sovereign desires. I think then my goals should be in line with God’s, so that no matter where the path leads on earth, it ultimately ends up in heaven. Everest is and always will be for many a lofty goal, but I think I will start aiming even higher and believe that I will eventually get there, step by step. In “What I am Afraid of,” I relate how for 58.9 years, I worked toward my agenda. God gave me slack on the reins but when it became clear that I was going to continue on my own path of repeating failure, He mad a major mid-course correction…to mix a few metaphors. In other words, I can totally relate ! God is always serious about us, and when we get serious about Him, it makes all the difference. I’m 70 and just starting to “get it.” Press on sister!